This article is about the men's team. For the women's team, see Syria women's national football team. The Syria national football team (Arabic: منتخب سوريا لكرة القدم‎, French: Équipe de Syrie de football) represents Syria in association football and is controlled by the Syrian Arab Federation for Football, the governing body for football in Syria. Syria's home grounds are Abbasiyyin Stadium and Aleppo International Stadium. Syria has never qualified for the World Cup finals but did reach the fourth qualification round in 2018. Syria participated in the 1950 and 1958 World Cup qualifiers, one of the first teams in the region to do so. Between 1958 and 1961, the team combined with Egypt to form the United Arab Republic national football team, although the team's records are attributed only to Egypt by FIFA. In the 1966 World Cup qualifiers they were one of two teams from the Asian zone (the other being Israel) to be allocated to the European qualifying zone and were originally placed with Spain and the Republic of Ireland. However, they joined the Asian and African boycott of the 1966 qualifiers, due to the decision of FIFA to allocate just one place between Asia and Africa. Syria has never qualified for the World Cup. The farthest they've gone in qualification was in the 1986 qualifiers when they reached the final qualifying round only to lose to Iraq. They were disqualified from the 2014 World Cup due to the use of an ineligible player. Syria has, however, competed in five Asian Cups, the last being 2011, but on each occasion were eliminated before reaching the quarterfinals. In December 2012, Syria beat Iraq in the final of West Asia Cup to collect its first major trophy. Ever since war broke out in the country, Syria have been banned from playing home games in their own country and in fact were one day away from being thrown out of the 2018 World Cup only for Malaysia to swoop in at the last minute and offer to host all of Syria's home games. Syria had a large upturn in fortune as they made it to 2018 FIFA World Cup qualification – AFC Fourth Round but were eliminated by Australia. 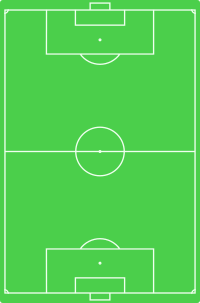 2012 WAFF Championship Final starting lineup on 20 December 2012, in Kuwait City (Al-Sadaqua Walsalam Stadium). Mosab Balhous is Syria's the most-capped player with 81 caps. Squad selected for the Friendly matches against Iraq on 20 March 2019 and Jordan on 23 March 2019. Caps and goals updated as 23 March 2019, after the match vs. Jordan. The following players have also been called up to the Syria squad within the last 12 months. ^ Football results of 1965 Pan Arab Games is not recorded by FIFA. ^ "4th Pan Arab Games, 1965 (Cairo, Egypt)". www.rsssf.com. Retrieved 23 August 2017. ^ FIFA.com (19 August 2011). "Syria disqualified from 2014 FIFA World Cup". fifa.com. Retrieved 23 August 2017. ^ Maasdorp, James (10 October 2017). "Australia v Syria World Cup qualifying play-off second leg in Sydney, as it happened". abc.net.au. Retrieved 10 October 2017. Wikimedia Commons has media related to Syria national football team.